Hello! As you have chosen to read this book it is pos­sible that you may one day con­sider vis­it­ing these is­lands. and that your cam­era snap­shots will provide vivid memor­ies. If you do vis­it, you will hear people us­ing a num­ber of dif­fer­ent greet­ings, in­clud­ing the one at the top of this text. Have a nice day – Lovely to see you – Good morn­ing/af­ter­noon/even­ing. 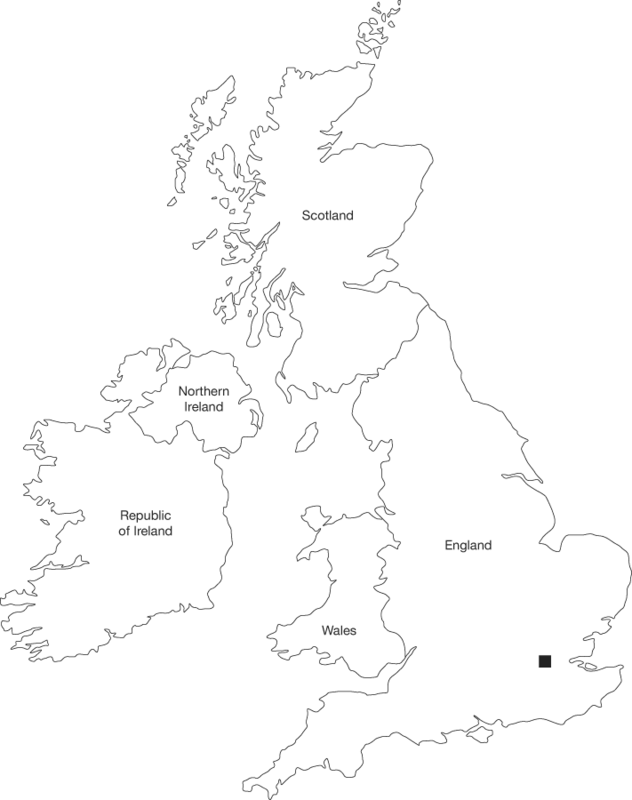 Eng­land – Bri­tain – Great Bri­tain – United King­dom (U.K.) – The Brit­ish Isles. Out of all these names the most help­ful, however polit­ic­ally not quite cor­rect, as you will dis­cov­er later on, prob­ably is “the Brit­ish Isles”. You may like to put down this book now and find an at­las. Look at a map of Europe closely to see where the Brit­ish Isles lie in re­la­tion to France, Bel­gi­um, the Neth­er­lands, Ger­many, Den­mark, Nor­way. You will see that Great Bri­tain con­sists of two is­lands, just across the coast from North­ern France. which is pro­nounced in a sim­il­ar way to “is­land” un­less you are Scots or Ir­ish, in which case you would pro­nounce the “r” sound too. Ire­land has two coun­tries with­in it, the in­de­pend­ent Re­pub­lic of Ire­land and North­ern Ire­land, which is part of the United King­dom. If you look more closely you will also see many smal­ler is­lands which are near the coast of the two main is­lands. the Isle of Skye – the Orkney Isles – the Sh­et­land Isles – the Chan­nel Is­lands? for it con­sists of sev­er­al is­lands and its peoples are is­land com­munit­ies with an is­land out­look. Al­though geo­graph­ic­ally small the im­pact of Great Bri­tain upon the world has been quite large, and you may read in his­tory books something about this. There­fore the lan­guage you are learn­ing or prac­tising has be­come an in­ter­na­tion­al pass­port. But, Eng­lish is not the only lan­guage spoken in the Brit­ish Isles. the last per­son who spoke only Cornish, an­oth­er Celt­ic lan­guage, prob­ably died at the end of the 19th cen­tury. However, there is now a re­viv­al tak­ing place. You can see road signs writ­ten in Cornish and small groups are tak­ing the ini­ti­at­ive to re­start the teach­ing of this an­cient tongue. which put them so­cially above those people rent­ing prop­erty, es­pe­cially those rent­ing from the gov­ern­ment. My par­ents also cared about edu­ca­tion and were par­tic­u­larly keen for us to gain bet­ter jobs and thus move up in so­ci­ety. As a child I was un­aware of any of these factors, but simply en­joyed a stable home and the simple pleas­ures of a fam­ily of lim­ited means. One day our loc­al doc­tor’s wife spoke to my moth­er and offered me a job clean­ing the sur­gery every Sat­urday morn­ing for a little pock­et money. Prob­ably she thought this would save my par­ents hav­ing to worry about provid­ing me with money. So my du­ties began. I thor­oughly en­joyed the work and more es­pe­cially the de­li­cious food which was served to me after work in the kit­chen of the large doc­tor’s house. it all seemed so much more civ­il­ised than our small and crowded home. and I was in­vited to join them on an out­ing in the car to a park some dis­tance away and go swim­ming with them. I was de­lighted at the in­vit­a­tion and asked if my little sis­ter, then five years old, could come along too. They kindly con­sen­ted. We had a mar­vel­lous time, es­pe­cially the jour­ney in the car, as we did not have one. Just as we were about to go home my little sis­ter ran in front of the swing on which I was swinging, and her front tooth was knocked out. Blood was every­where, and my sis­ter’s screams filled me with ter­ror, as my moth­er had made me prom­ise to take good care of her. after which she as­sured me my sis­ter would fully re­cov­er and wouldn’t think of it any more. She then found a pleas­ant café with white crisp table­clothes, sil­ver cut­lery and lovely bone china tea ser­vices. With this little out­ing I first be­came aware of so­cial dif­fer­ences and the class sys­tem. A doc­tor in Eng­land, at that time, would cer­tainly be middle­class, a post­man’s daugh­ter work­ing­class.